BATON ROUGE, La. – Student Government Association (SGA) Presidents gathered in Baton Rouge to elect leadership positions in the University of Louisiana System and for statewide higher education. Serving on state boards as student members will be Nicholls State University SGA President Adam LeFort on the UL System Board of Supervisors and Louisiana Tech University SGA President Maggie Brakeville on the Louisiana Board of Regents. Student leaders from Grambling State University, McNeese State University, Northwestern State University, and the University of Louisiana at Lafayette were also elected to leadership positions. 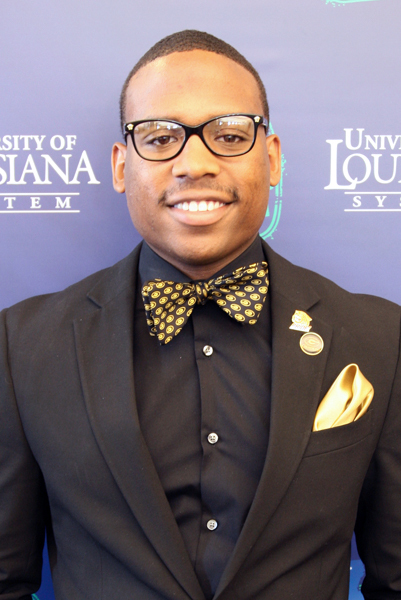 Nicholls’ LeFort, a junior management major from Thibodaux, understands his position on the UL System Board will automatically place him on the Grambling State and Northwestern State presidential search committees. “I became interested in this position after watching the student board member in action last year during the Nicholls Presidential Search. I look forward to working with the Board of Supervisors and serving as the voice of the students throughout the year, and especially during the Grambling and Northwestern Presidential Searches,” he said. 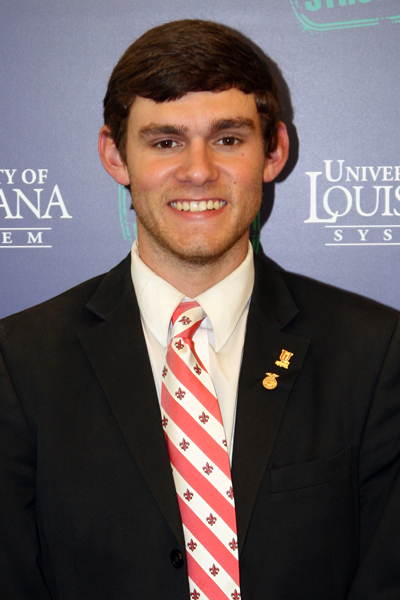 UL Lafayette SGA President Dane Adams will serve as Chair of the UL System’s Student Advisory Council (SAC), McNeese SGA President Caleb Whalley will serve as SAC Vice Chair, and Grambling SGA President Erik Johnson will serve as the SAC Service-Learning Coordinator. Adams, a senior public relations major from Lockport, sees himself as a conduit for the system’s student leaders. 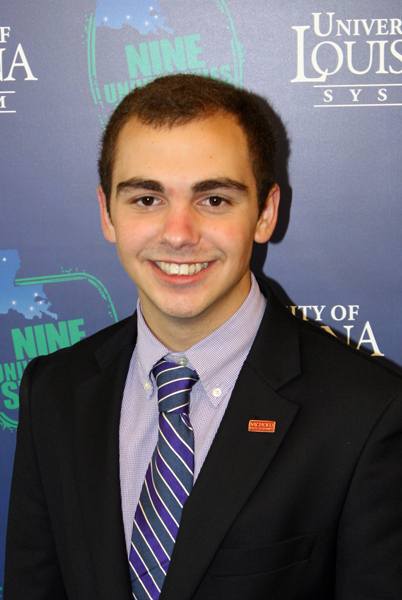 “My priority is to hear from my respective SGA presidents about how I can help them individually. I may not always have the answer, but I can point them in the right direction,” he said. A junior Natural Resource Conservation Management major from Dallas, Texas, Whalley sees his role as SAC Vice Chair to support the Chair. 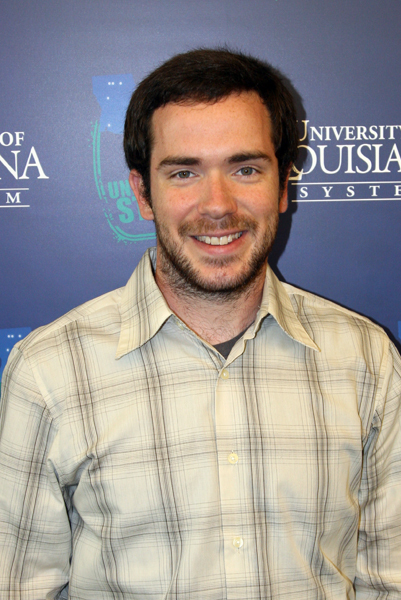 “I am excited to serve with SAC Chair Dane Adams. My goal this year is to improve communication and make students feel valued,” he said. Johnson, a junior Kinesiology major and Military minor from Dallas, Texas, believes his service in ROTC, Color Guard, the Rangers Challenge, and campus radio station KGRM have prepared him for this role. “This position goes hand-in-hand with my major and leadership experiences. I am big on the betterment of students regardless of background, and I know how to motivate students to complete a successful project,” he said. As the UL System SAC Service-Learning Coordinator, Johnson will be responsible for organizing a coordinated system-wide service project similar to last year’s initiative, “The Get Fit Movement,” that promoted health and wellness across the nine universities. Northwestern SGA President Kyla Winey, a senior mass communication major from Lafayette, will serve as the statewide Council of Student Body Presidents (COSBP) Secretary. “My goal for this position is to give valuable input so we can strengthen the institutions through their SGA presidents. I want COSBP to create a network in which each student leader feels more comfortable calling another president for advice or collaboration,” said Winey. Student leadership positions are elected each year among university peers within the system and among the four systems (Louisiana Community and Technical College, Louisiana State University, Southern University, and UL systems) for statewide positions. Terms of service begin in June.